We make the payment experience better for your team and patients. Use HealNow to reduce the number of phone calls and forms you receive via fax, by allowing patients to pay co-payments, schedule deliveries and enter medical information online. We enable pharmacies to offer online payments of prescriptions for a faster on-boarding and payments process, in a frictionless way. Offer your customers a new and improved pharmacy experience today. 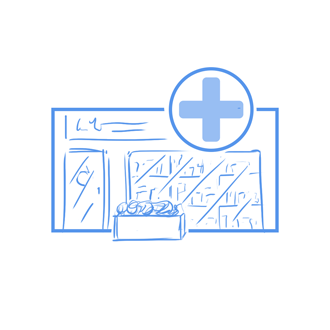 Our solution allows healthcare organizations to increase revenue by capturing more sales of prescriptions, over-the-counter medications, and other medical products from every discharged patient. Keeping all pharmacy orders in-network. Convert your pharmacy into a Meds-to-bed or Meds-to-Home powerhouse today. Reduce Time and Receive Faster Payments Online. Accepting prescription payments online isn't impossible. Let us help you with that! Choose a Plan That’s Right for You or Your Business. plus a few added features. Help us tailor a solution to your specific needs.